DURAL DECAL CO-Vinyl Letters & Numbers: 1/2in Gothic. 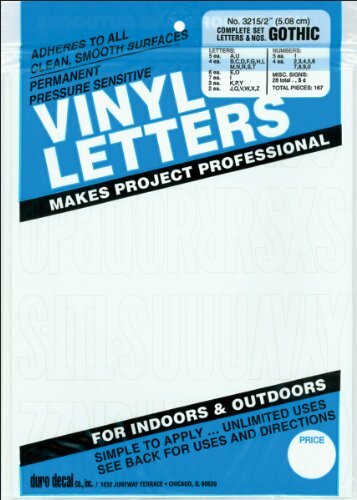 These vinyl letters and numbers are great for all clean and smooth surfaces where you want permanent lettering: glass metal plastic and fiberglass which makes them perfect for mailboxes windows boats campers vehicles posters signs lockers wagons bumpers and much more at home school and the office. This package contains 852 pieces: forty-four each: I forty each: 1 twenty-eight each: A E and O twenty-four each: 2 and O twenty each: Y 6 and 7 sixteen each: B C D F G H L P R S T 3 4 5 8 and 9 twelve each: J K M N U and W and 216 symbols. Available in a variety of colors: each sold separately. Made in USA. 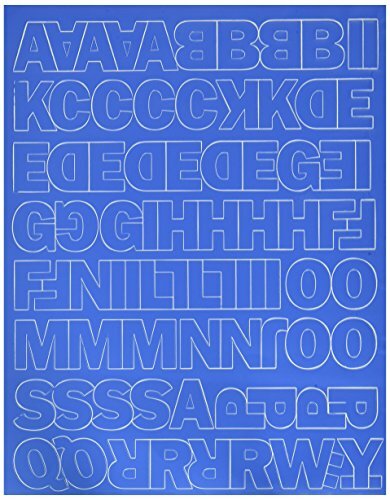 These vinyl letters and numbers are great for all clean and smooth surfaces where you want permanent lettering: glass, metal, plastic and fiberglass which makes them perfect for mailboxes, windows, boats, campers, vehicles, posters, signs, lockers, wagons, bumpers and much more at home, school and the office. 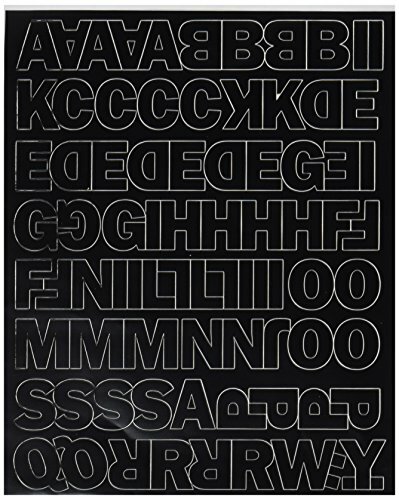 This package contains 167 pieces: 7 each: I, 6 each: E and O, 5 each: A, U and 1, 4 each: B, C, D, F, G, H, L, M, N, R, S, T, 2, 3, 4, 5, 6, 7, 8, 9 and 0, 3 each: K, P and Y, 2 each: J, Q, V, W, X and Z and twenty-eight symbols. Available in a variety of colors, each sold separately. Made in USA. 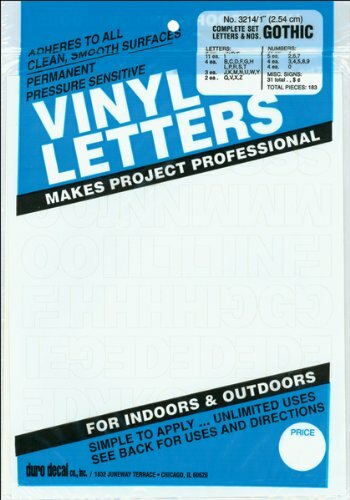 These vinyl letters and numbers are great for all clean and smooth surfaces where you want permanent lettering: glass, metal, plastic and fiberglass which makes them perfect for mailboxes, windows, boats, campers, vehicles, posters, signs, lockers, wagons, bumpers and much more at home, school and the office. This package contains 167 pieces: 11 each: I and 1, 6 each: A, E and O, 5 each: 2, 6 and 7, 4 each: B, C, D, F, G, H, L, P, R, S, T, 3, 4, 5, 8 and 9, 3 each: J, K, L, M, N, U, W and Y, 2 each: Q, V, W, X and Z and 31 symbols. Available in a variety of colors, each sold separately. Made in USA. 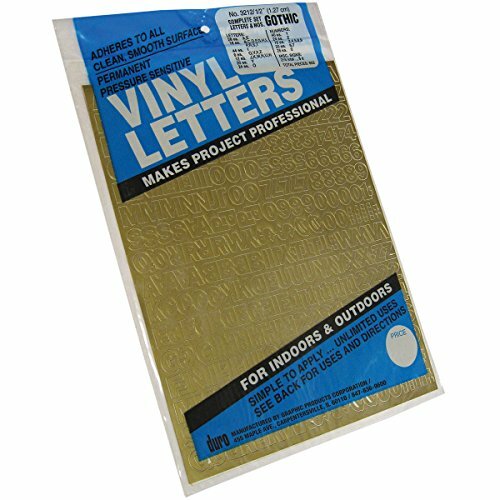 These vinyl letters and numbers are great for all clean and smooth surfaces where you want permanent lettering: glass, metal, plastic and fiberglass which makes them perfect for mailboxes, windows, boats, campers, vehicles, posters, signs, lockers, wagons, bumpers and much more at home, school and the office. This package contains 302 pieces: nineteen each: 1, 17 each: I, 14 each: E, 13 each: A, 12 each: 2 and 0, 10 each: 5 and 7, nine each: 6 and 9, eight each: B, C, D, G, H, O, 3 and 4, 7 each: 8, 6 each: F and K, 4 each: L, P, R, S, T and Y, 3 each, J, M, N, U and W, 2 each: Q, V, X and Z and forty-seven symbols. Available in a variety of colors, each sold separately. Made in USA. DURAL DECAL CO-Vinyl Letters: 6in Gothic Black. 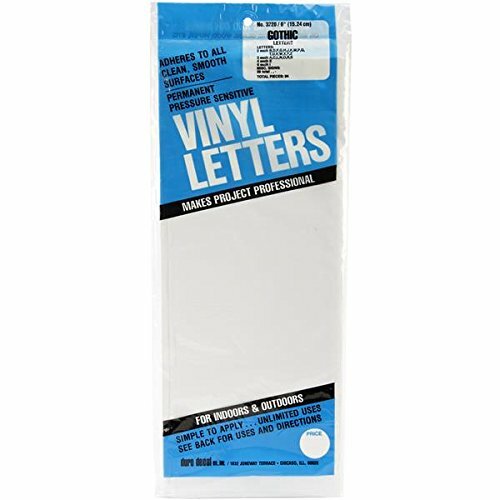 These vinyl letters are great for all clean and smooth surfaces where you want permanent lettering: glass metal plastic and fiberglass which makes them perfect for mailboxes windows boats campers vehicles posters signs lockers wagons bumpers and much more at home school and the office. This package contains ninety-four pieces: two each: B D F G H J K M P Q T U V W X Y and Z three each: A C L N O R and S four each: E six each: I and thirty-nine miscellaneous symbols and punctuation marks. 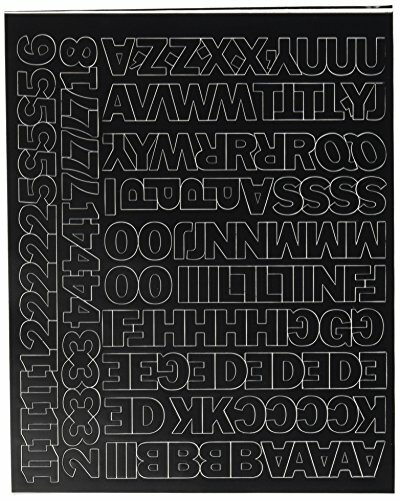 Permanent Adhesive Uppercase Vinyl Letters ~ 6" GOTHIC WHITE ""SHIPS TODAY""
Permanent Adhesive Vinyl Letters & Numbers 2" GOTHIC WHITE ""SHIPS TODAY""
Permanent Adhesive Vinyl Letters & Numbers 3/4" GOTHIC BLACK ~ ""SHIPS TODAY""
Permanent Adhesive Vinyl Letters & Numbers 3" GOTHIC WHITE ""SHIPS TODAY""
Permanent Adhesive Vinyl Letters & Numbers 1/2" GOTHIC BLACK ""SHIPS TODAY""
Permanent Adhesive Uppercase Vinyl Letters ~ 4" GOTHIC BLACK ""SHIPS TODAY""
How to apply adhesive vinyl to a mug! Want more Permanent Adhesive Vinyl Letters similar ideas? Try to explore these searches: Wholesale New Pocket Watch, Leg Plush, and Winsome Walnut Bar Stools.